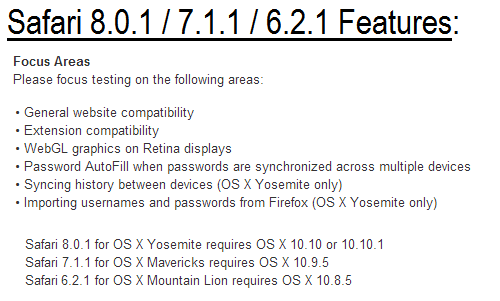 The second beta version of OS X 10.10.1 Yosemite has been seeded by Apple i.e. OS X Yosemite 10.10.1 Beta 2 (Build: 14B23) Update. Apple has also seeded Xcode 6.1.1 (Build: 6A2006) GM (Golden Master) Update and Safari 8.0.1 Beta for OS X Yosemite, Safari 7.1.1 Beta for OS X Mavericks and Safari 6.2.1 Beta for OS X Mountain Lion operating systems. Mac OS X developers and non-developers (general public users) can upgrade / update / install all the latest available updates instantly. The Direct Download Links of OS X Yosemite 10.10.1 Beta 2, Xcode 6.1.1 GM and Safari 8.0.1 Beta Update .DMG Files are posted below. The official release notes of OS X 10.10.1 Beta 2 (14B23) update contains; bug fixes and improvements for Wi-Fi, Exchange Accounts in Mail, Notification Center. Xcode 6.1.1 GM (6A2006) changelog holds; inclusion of iOS 8.1 SDK and Mac OS X 10.10.x SDK. 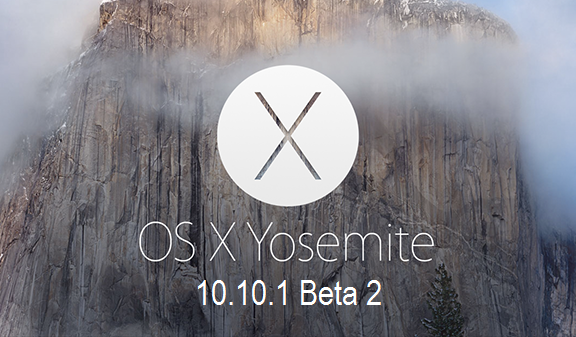 How to Manually Install OS X Yosemite 10.10.1 Beta 2 Update? Mac OS X 10.10.1 Beta 1 users can go-to Mac App Store >> Software Update option. Apple's OS X developers can go to OS X Dev Center website to download OS X 10.10.1 Beta 2 Update. OS X non-developers can free install and activate OS X 10.10.1 Beta 2 without Apple UDID and developer account via iTunes after Download OS X Yosemite 10.10.1 Beta 2 .DMG File via Direct Links.